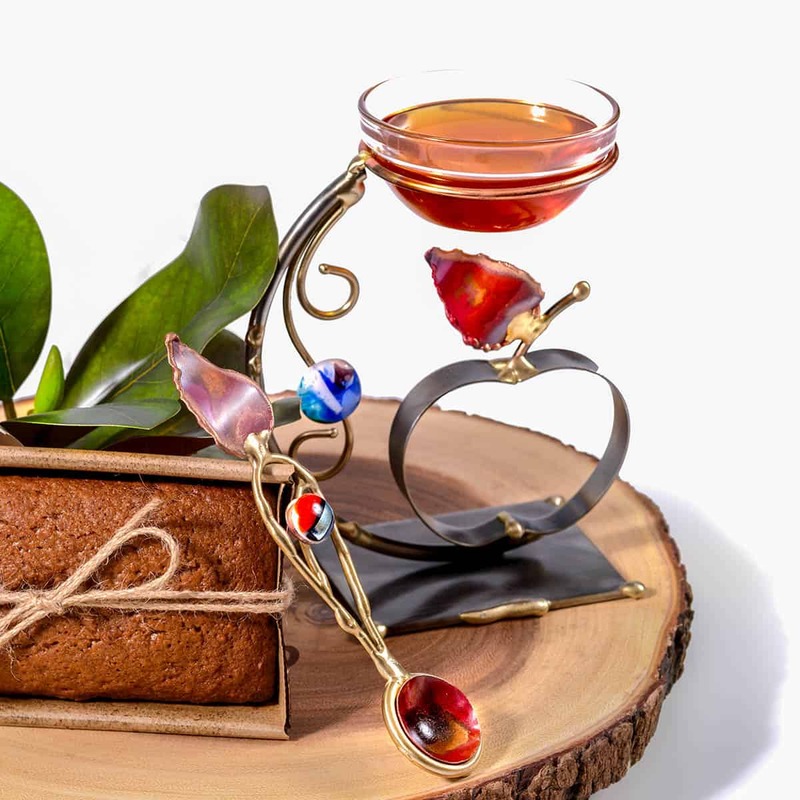 Art meets function with this distinctive honey dish. Made of sculpted metal and glass, it’s a modern twist on a timeless tradition. 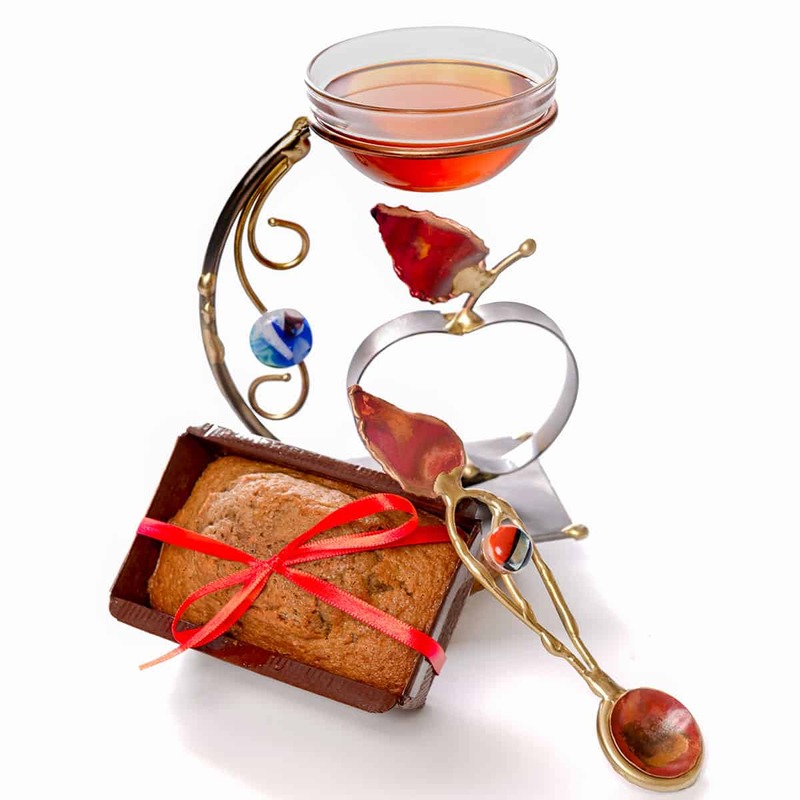 Includes sculpted metal base, glass dish, honey spoon, and a 10 oz honey cake loaf. Each set is hand made in the USA by renowned artist, Gary Rosenthal. Arrives in a ribboned gift box.